A relatively new concept in Search Engine Optimization, Programmatic SEO involves creating landing pages on a large scale. This technique helps creating hundreds of targeted content pages to capture more of voice, mobile and local searches on search engines. Every day, more than 500 billion searches are performed on Google that have never been searched before. Over 50 percent of these are made on mobile devices and 20 percent with voice searches. Google searches for keywords including ‘near me’ have increased by 34 times since 2011 and almost doubled in last one year alone. More than 50 percent of mobile users searching for a business end up visiting it or making a purchase. Programmatic SEO is a method that allows addressing the growing volume of searches by deploying masses of webpages. It helps businesses utilize the opportunity of local, voice and mobile searches by easily modifying a large number of pages of content. Programmatic SEO is generally focused around scalability creating and optimizing landing pages which rank for transactional intent. It is used by consumer-focused aggregators such as Yelp, Tripadvisor and Bankrate and is common among E-Commerce B2B players like Software Advice. 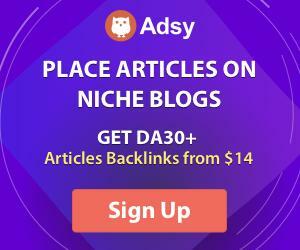 This type of SEO is less about creating authoritative content which builds brand and reputation but is more about producing high-volume, user-friendly, unique landing pages targeted at sales. Programmatic SEO is a process where changes in ranking factors are detected, inputted into software and changes are propagated on particular web pages in response to the modification affecting the ranking benefit. While keyword research is a known procedure, applying it at scale employs a slightly modified method. It involves finding out the head terms – broad level categories you try to rank for. These terms contain a deal of search volume which you can check using a keyword research tool. It is important to identify the maximum number of head terms. You should also figure out the modifiers which come with head terms. Identify the primary and secondary identifiers. Then you put them all together to get a large list of keywords which you process using Python. You get an exhaustive list of potential keywords with search volumes. The next step in Programmatic SEO is using rank data in large scale to gain valuable insight into the competitive landscape. Rankings are the most valuable data available when considering competition analysis. To do this, you can find out the top players as those having the most keywords in the top ten list for your space. Using rank data for around 5000 keywords, you can get a picture of the competition for the industry. You can consider additional factors like site speed, domain rating, census data, search volume and others to boost your analysis. You should pay a great deal of attention to the top ranked sites and find out where they get their links, tools they use for their title tags, and their common patterns in UX. Once you identify the target keywords and perform the competitive analysis, it is the time to create landing pages. When it comes to programmatic SEO, this step is quite challenging as each of the thousands of landing pages needs to be unique. As Google is good at related topics, you need not create a page for every keyword. You should rather create a landing page per searcher intent. Another challenge is getting enough useful, unique content to fill the thousands of landing pages. Your content may be useful to users but the search engines may not favor them. To be successful, you should consider business model and content of landing pages as two sides of the same coin. Some of the most useful sources companies use to create unique content for landing pages include community, two-sided marketplace, proprietary data, eCommerce, curation, editorial and more. You can use the learnings of the top competitors to your advantage as well. When trying to dominate an industry programmatically, link building methods used for general SEO don’t work. It is important to identify a strategy that scales. There is no magic solution and each business has to find out what works in its vertical. Viral Content is a great strategy to build links at scale. While Movoto had a fraction of budget of competitors, it could earn a place in search engine rankings by using Buzzfeedy listicle posts which were intended to go viral. Another popular strategy that every successful business uses is some type of ego-bait to get the link back. Houzz, Yelp, Tripadvisor and others offer a kind of embeddable badge on their site to build links. If your business can manage to produce proprietary data out of your business operations, you can package it in a newsworthy way to get lots of links. A great example of this strategy is Redfin that uses its home sale prices data to create insights which journalists are waiting for. Commissioned surveys are amazing ways to collect data and create insights which bloggers and journalists are interested in. Bankrate has been commissioning and publishing surveys for long and they get picked by news outlets. In many verticals, people create great content each day and look for sources to use them. if you can manage to get discovered, you get a lot of links. To use this strategy, you should focus on creating content with intents to link. There are companies which scale link building through huge guest posting campaigns. You need an industry with a lot of publications and blogs which need content. Software Advice is one such industry which appeals to guest posting at scale as it contributes useful content to all types of verticals. Businesses performing programmatic SEO usually generate tons of pages on their site. The most common problem that they face is getting the pages crawled. If the bot can’t find a page, it can’t rank it. To ensure that the search bot always finds your page, make sure each of them is categorized. Use internal linking to ensure they are ranked as well. Now, you should also see that Google likes your pages. Check the indexation rate to be above 90 percent. If it is not, there is some problem with some of the webpages. If you see signs that Google doesn’t like your pages, deal with the thin pages by modifying or deleting them. Duplicate content is another issue with programmatic SEO and can affect the page ranking. We hope this post helps you learn about the basics of Programmatic SEO. Do share your thoughts and experiences in the comments section below.